Beckwick Town is a fictitious location situated in Southern England, some forty miles from London. The line opened during the mid 1880s as the railway network spread throughout the country. The current setting is served by all three types of motive power, set during the post war years into the mid 1960s. The station and town boasts its own parcels depot to cater for overnight newspaper trains, where sorting can be carried out and forwarded on by road. The regular services to and from London, Beckwick Town also plays host to regular cross country and inter regional services. 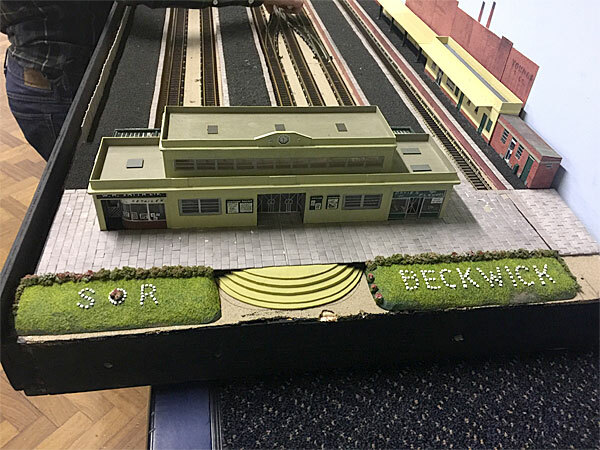 The town also benefits with its own short commuter branch, serving nearby Upper Beckwick (or ‘Uppah Beckwick’ to the locals). The branch is built to serve the western side of town to take advantage of the prevailing winds, also to serve workers of the soap works, gas works along with the heavy and light industries situated towards the eastern end of town. The branch originally boasted double track, however this was rationalised following the infamous Beeching cuts of the early 1960s, although a stub remains in situ as a headshunt. Trains for the branch and the industrial side of town have to arrive in the station and run round in order to traverse the industrial branch line serving the ‘Swampys’ (as the local folk on this side of the town are more commonly known).